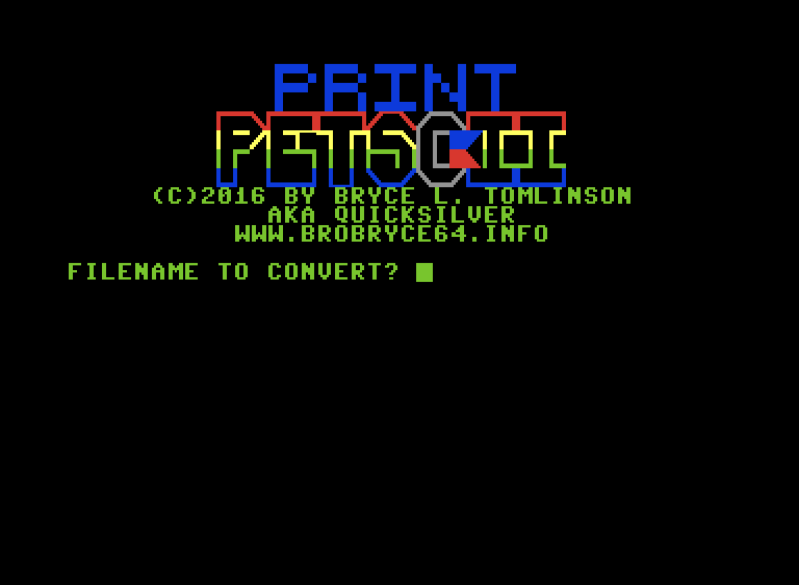 This program was created to help convert PRG/SEQ PETSCII graphics files, such as those created with my program Kaleidoscope V4, into PRINT statements in a basic program. This is useful for program menus, intro screens, demos, etc, and was even used to make the title screen for this program. Simply input your filename, tell it if it is a SEQ or PRG file, select your device, and away it goes. When it's done, all you'll have left is your program with your graphics included in it!